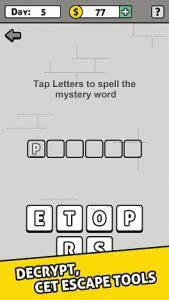 You can enter your letters here and we will show you every possible answer for your Words Story level. 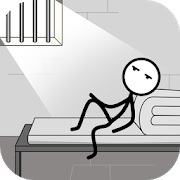 This way it can not be easier to escape from prison! But you can also browse through each level below. Please Like this page if you found your solution for Words Story here. These answers are for all devices. It doesn’t matter on which device you play the game. We keep this page updated so you can always find the newest answers for every level. Every page contains thirty levels. But you shouldn’t have to browse these. When you use the search engine at the top of the page you will get the best results. Find your Words Story words easily and have fun. It already has millions of downloads which confirms that it should be an awesome thing to play. This game is available for Android and iPhone (iOS). You can use the answers on this page for both. Just press the letters on the screen to create the words you need. If you have found the right solutions you will continue to the next level. Words Story has very many levels to play so you will have fun for a long time. And if you are stuck then use this page to continue without buying credits. It’s not always fun to use cheats, but it will help you not getting frustrated. Do you also like Words Story so much? Let us know and leave a comment below!